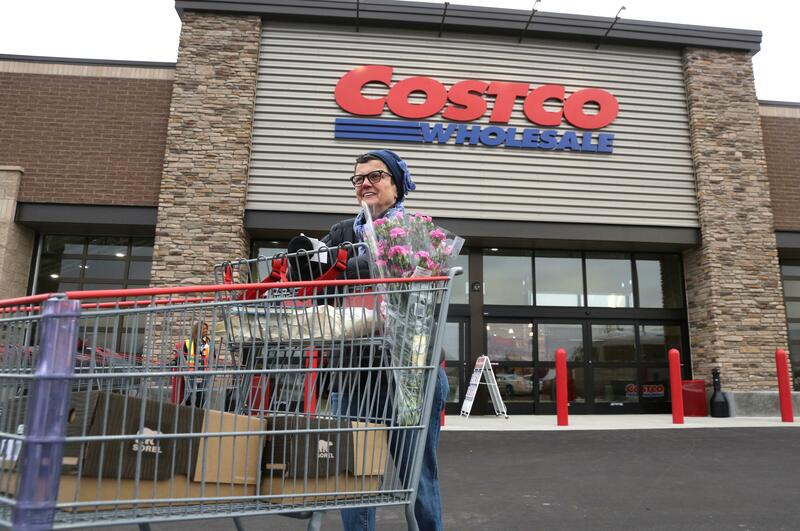 Tue., April 26, 2016, 6:41 a.m.
CHICAGO – Costco shoppers may be in for a membership fee hike next year. “The conditions are in place” for the warehouse club to increase the annual fee members pay to shop its stores in early 2017, UBS analysts said in a report following a meeting with Costco executives. Analysts said they expected Costco Wholesale Corp. to set the basic Gold Star Membership fee at $60, up from $55, and the Executive Membership fee at $120, up from $110. According to UBS, Costco typically raises member fees about every five or six years. With the last increase in November 2011, the predicted increase would be about on schedule. Costco could not immediately be reached for comment. Dramatically slowing sales or other disruptions could delay the fee increase, but analysts deemed that unlikely, according to the report. They predicted Costco’s upcoming switch in the credit card it accepts will boost its business, according to the UBS report. American Express’ exclusive partnership with Costco is ending in June. A new agreement between Costco and Citigroup means customers will be able to pay with a co-branded card called Costco Anywhere that doubles as a membership card, or with any other Visa card. Although the switch may bring some short-term “bumps,” analysts said they expect it to boost sales and new memberships. About 10 percent of nonmembers surveyed by UBS said the fact that Costco didn’t accept Visa or MasterCard was a major reason they hadn’t signed up, according to the report. One percent of nonmembers surveyed listed it as the only reason, suggesting the card switch could entice some new customers to sign up, analysts said. Slightly less than 35 percent of those surveyed said they didn’t want to buy in bulk, and about 25 percent said the membership cost too much, according to the report. Published: April 26, 2016, 6:41 a.m.